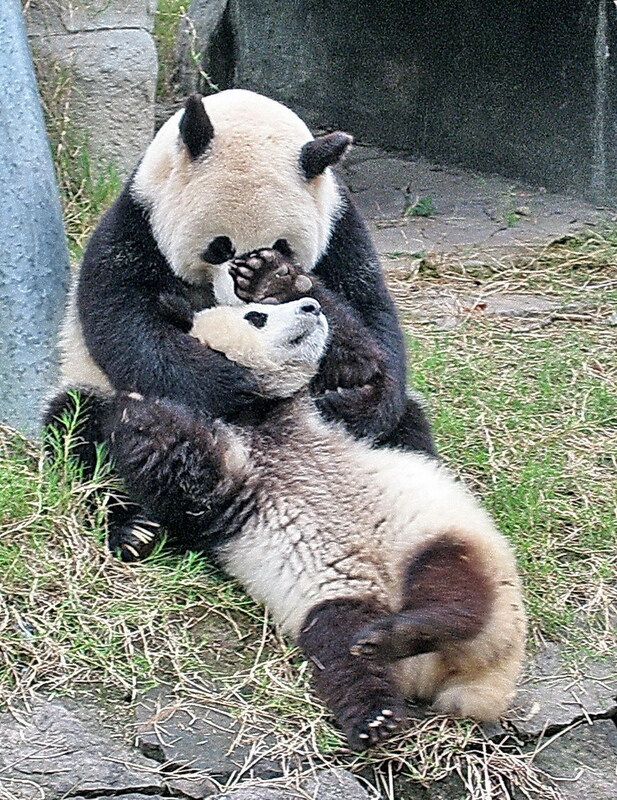 I visited Panda Sanctuary near Chengdu, west China – in 2002 and was lucky to catch the adorable pair of young pandas in love. I am told pandas are very lazy and sit and eat all day and make love once a year, that’s why they are endangered. Is that true? See> my tabblo< for the picture set.